Chocolate and Vanilla are two classic flavors. So many desserts are chocolate or vanilla. Ice cream can be chocolate or vanilla, same with cake. But why is it we always drink hot chocolate? Have you ever had hot vanilla? It tastes so warm and comforting just like the chocolate version. 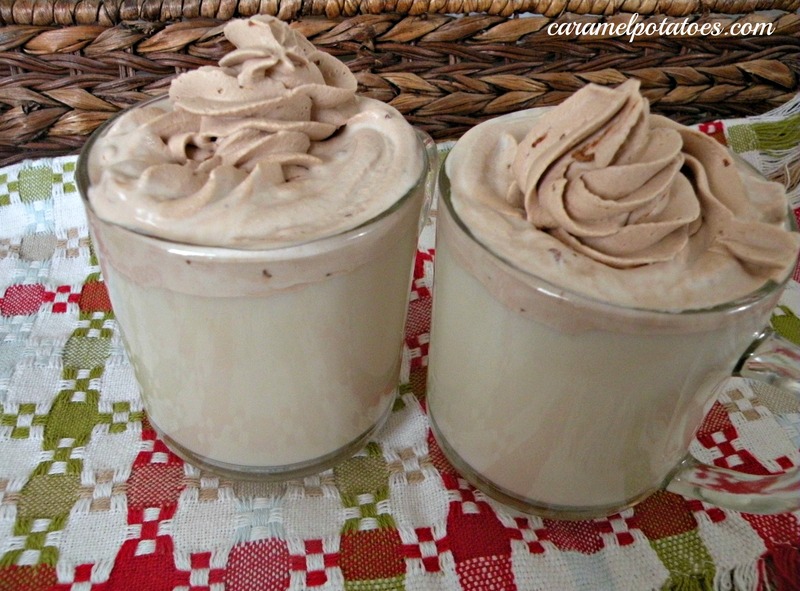 Chocolate whipped cream is just as easy to make as the original. Topping off the Hot Vanilla with a little whipped chocolate never hurts, so next time you need something to warm you up, give the Hot Vanilla a try. Mix all ingredients together in a mug. Warm in the microwave for about 90 seconds or until desired temperature is reached. Serve with a dollop of chocolate whipped cream. Whip cream until frothy. Add chocolate syrup and 1 Tbls. powdered sugar; whip until soft peaks form. Give it a taste, if it is not sweet enough for your liking add a little more powdered sugar.